Discussion in 'Home, Auto, Hobby and Computer Tech' started by g8tr72, Mar 6, 2018. Several ships went under along with the Lexington. The U.S.'s Sims, Neosho, and Yorktown succumbed to the waters. The Japanese carrier Shōhō also went under, and the fleet carrier Shōkaku sustained significant damage. The Yorktown was heavily damaged, so much so that the Japanese believed she was sunk, but in fact she survived. She limped back to Pearl and was miraculously made ready in time to participate in the Midway battle. She was again heavily damaged at Midway, so much so that the Japanese believed she was sunk twice. She did eventually sink at Midway, the victim of a Japanese sub. Can't believe National Geographic made that mistake. That's a really big mistake. Anyway. The Lady Lex was heavily damaged by the Japanese but great American damage control was able to save the ship. This was something we did better than the Japanese. Unfortunately, we dropped the ball. Well after the Japanese were gone and the initial damage under control, some sparks started a new fire and explosion with started another fire and explosion and that was it. Soon, she was on fire from stem to stern. She was abandoned but too stubborn to sink. A US destroyer sunk her with torpedoes. One of her survivors reported that she went down straight, not keeling over, like the lady she was. She's easily recognizable by that monolithic smokestack; a look unique to her and her sister. She was intended to be a battlecruiser (armed like a battleship, but more lightly armored giving more speed) but a post WWI treaty limited fleet sizes so after the hulls were built, her and her sister (whose name evades me) were completed as aircraft carriers. 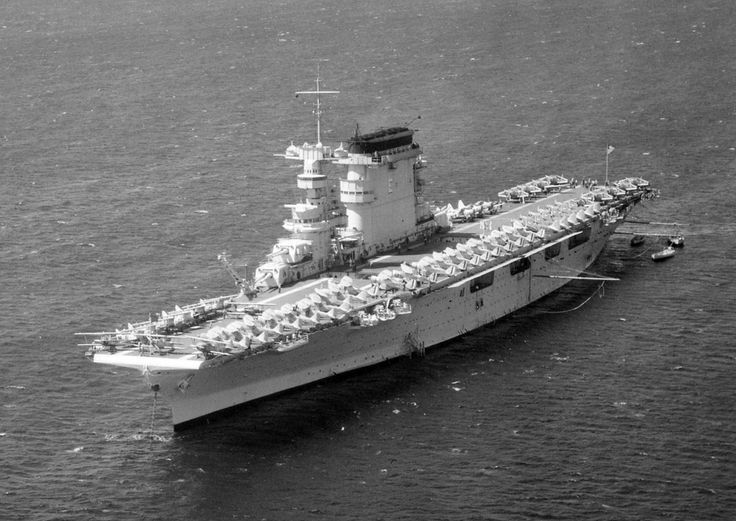 Lexington and her sister were larger than the Yorktown class but carried fewer planes because Yorktown class was designed from the start as a carrier. Because of her initial design as a battlecruiser, the Lady Lex had anti-torpedo blisters under water. These were bulges on the outside of her hull. The idea was that the torpedo would hit and explode before coming into contact with the main part of the hull. The damage would be dissipated. Not sure how effective this was but the practice was discontinued. Later in the same war, new Essex class carriers were named Lexington and Yorktown just to confuse me (I believe both Hornet and Wasp were sunk and got the same treatment of having new Essex class carriers named after them so really, really confusing). National Geographic fixed the article, and added some more information that could have come straight from my post. This is no good for my humility. So they steal from the GCMB also. Saratoga was her sister. And on the Yorktown, interestingly enough, she was actually being towed back to Pearl AGAIN when torpedoed. The USS Lexington looks more like an airplane than a ship.